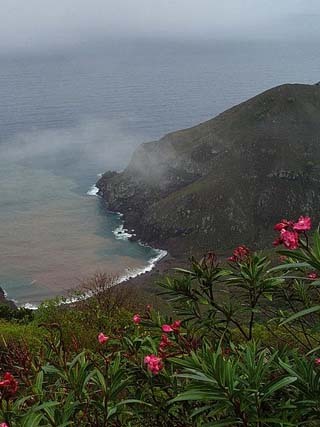 Tropical Saba's average daily high is generally near 80°F (27°C). Certainly summer days can be a bit warmer, with winter temps a bit lower. Cooler conditions are common in the upper elevations. Because of the consistent trade winds, the island is cooled by a refreshing breeze and evening conditions are quite pleasant. Yearly rainfall usually exceeds 40 inches, with the summer months receiving the most precipitation. Saba is positioned in the path of potential Atlantic hurricanes June through November, however, advance warning are usually accurate and timely.